Rent the Havana bed for a fresh and elegant look to your new bedroom while providing storage with a drawer underneath. 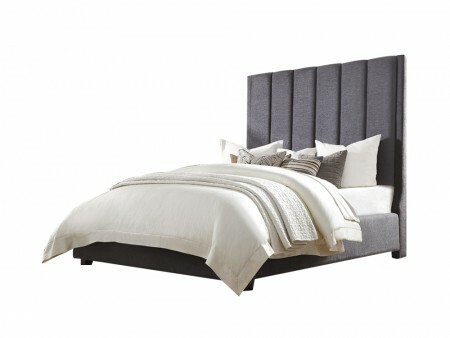 The upholstered headboard has a rich gray fabric and is mounted on a platform structure. The Havana is a queen size bed and can accommodate a medium to large size bedroom. Rent an Inhabitr memory foam mattress and stylish nightstands for the ultimate sleeping experience.